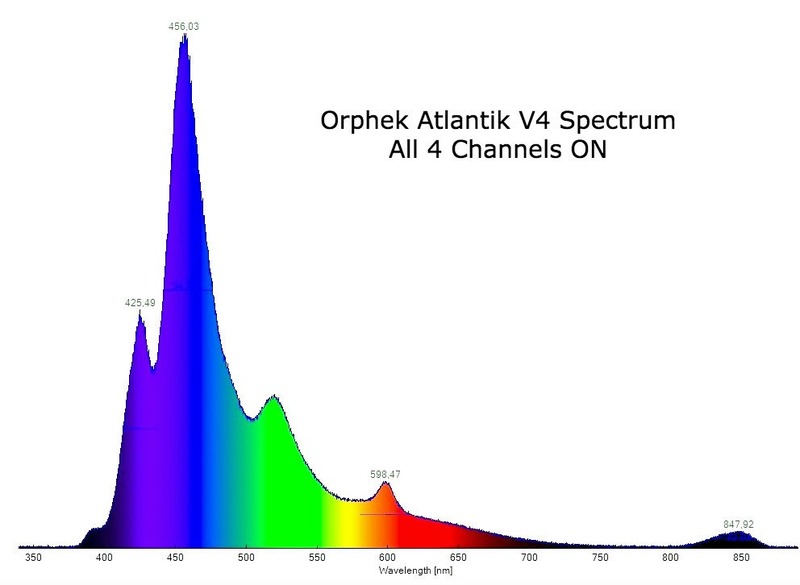 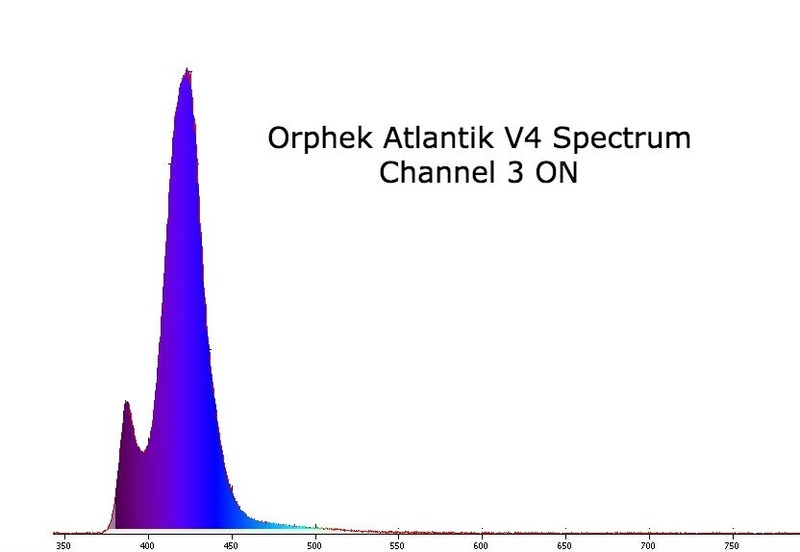 Why Orphek Atlantik v4 is The Best LED Aquarium Light ? 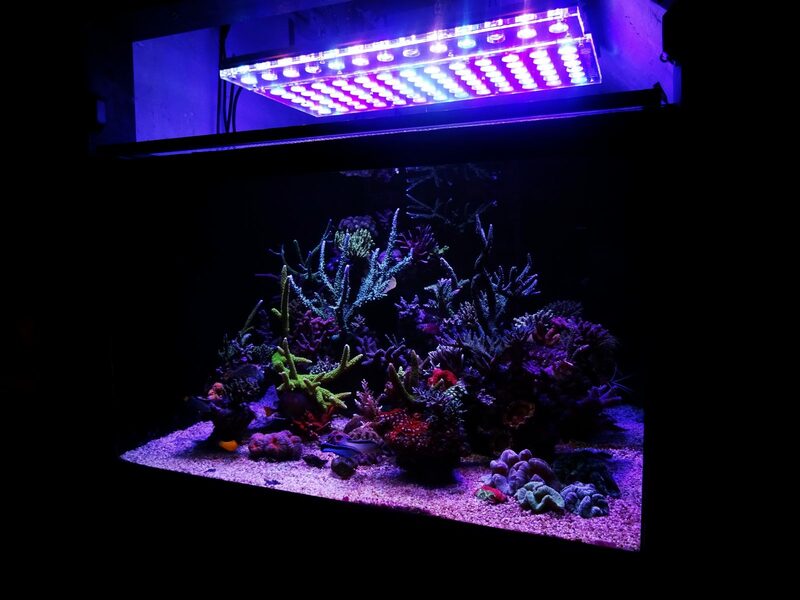 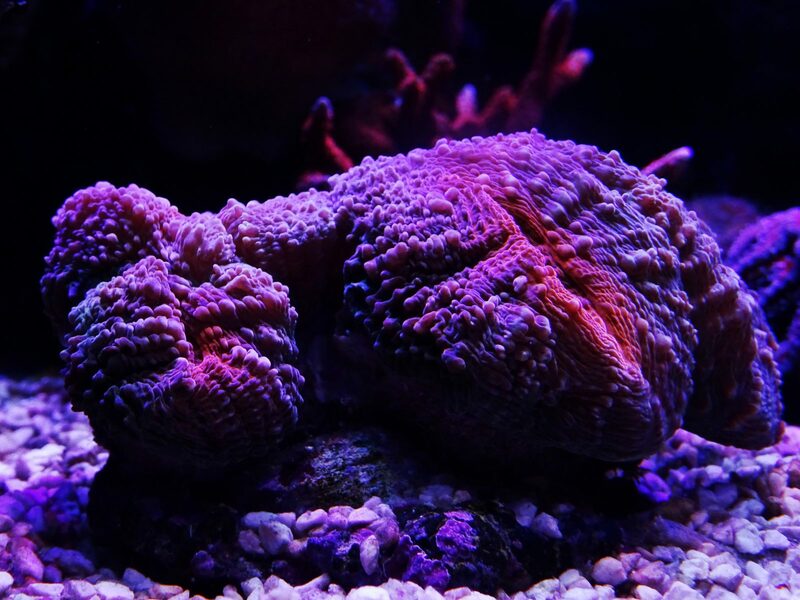 I’m Christophe from Belgium and I have been keeping saltwater tanks for about 7 years. 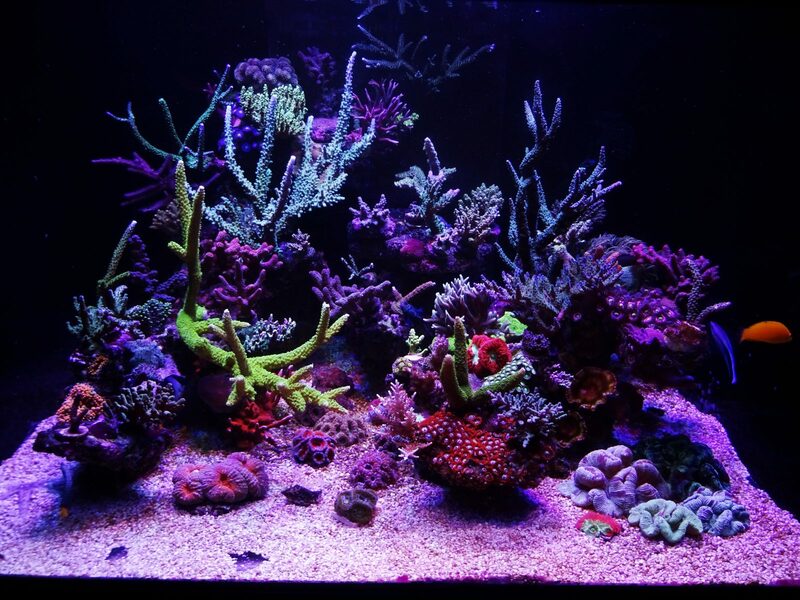 My current tank has been up and running for about 2,5 years now. 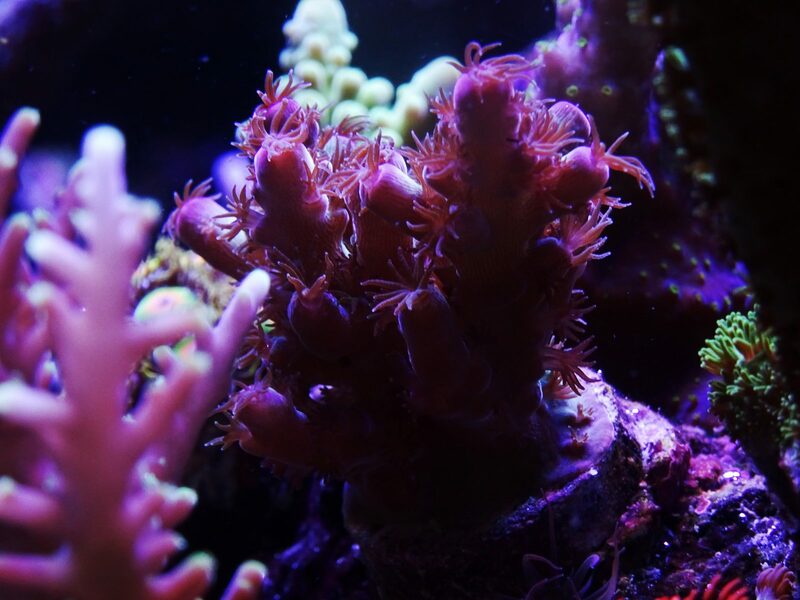 I started the entire tank with a scape of death rock, to avoid all kind of pests I could be dealing with later (crabs, algea, mantis,…). 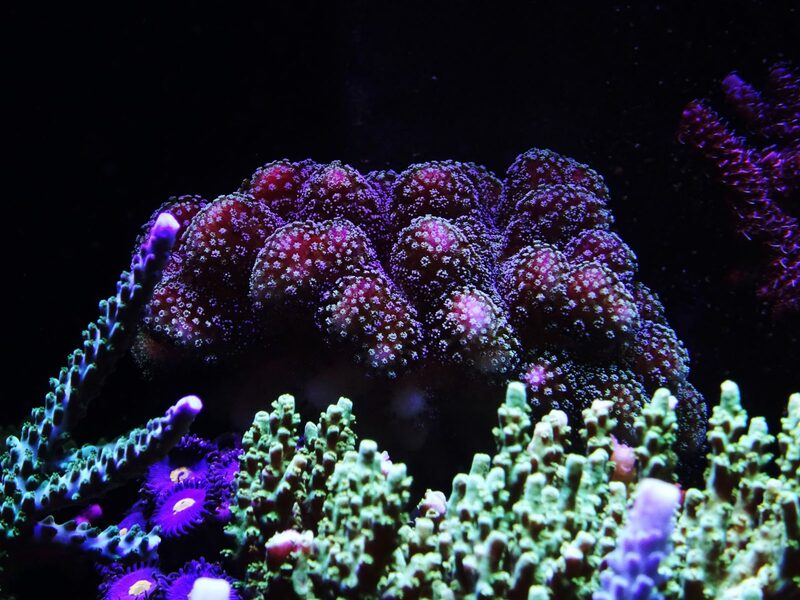 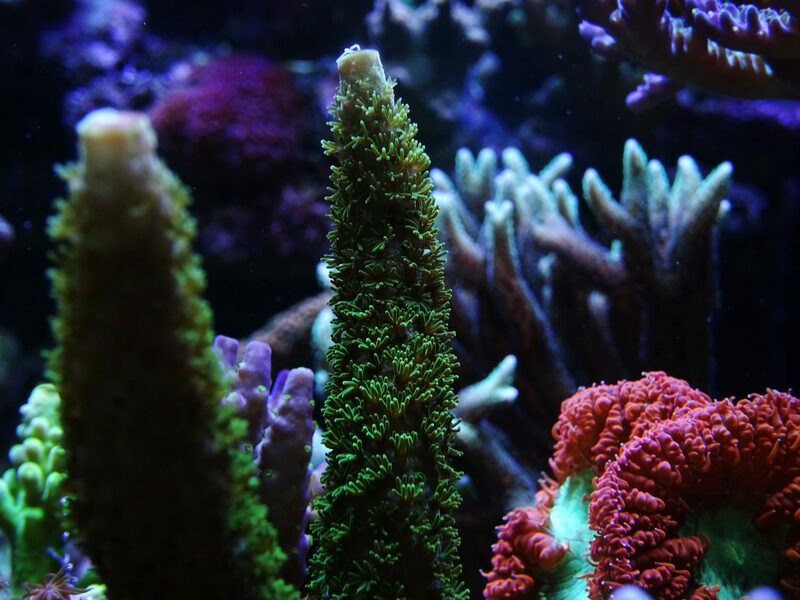 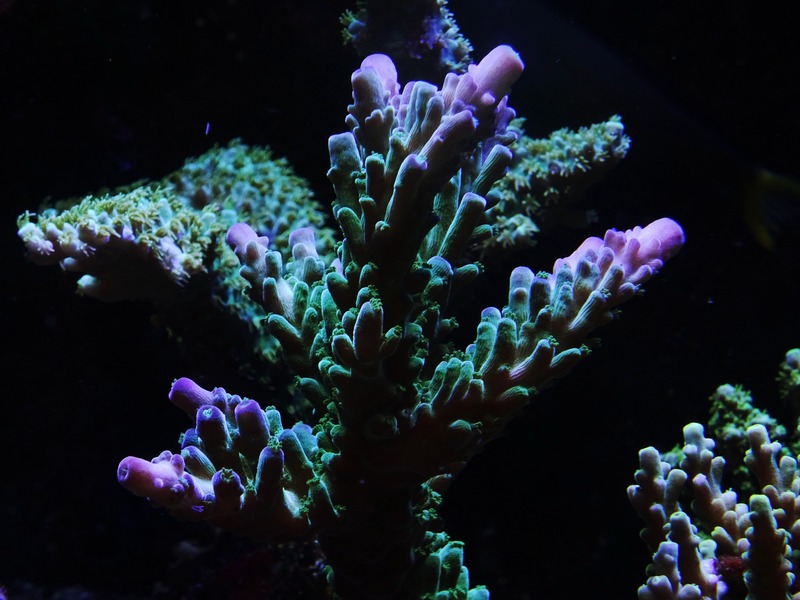 As you can see, my favorite corals are mainly sps with especially acropora species. 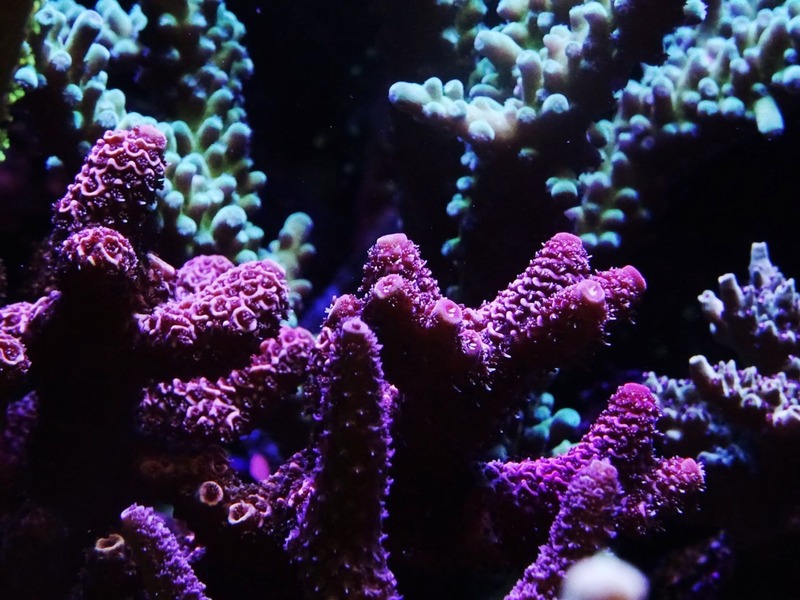 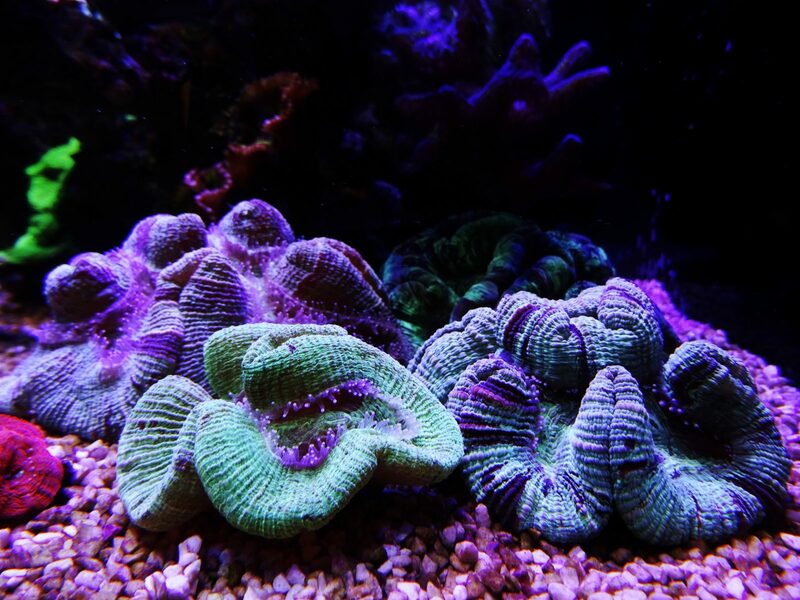 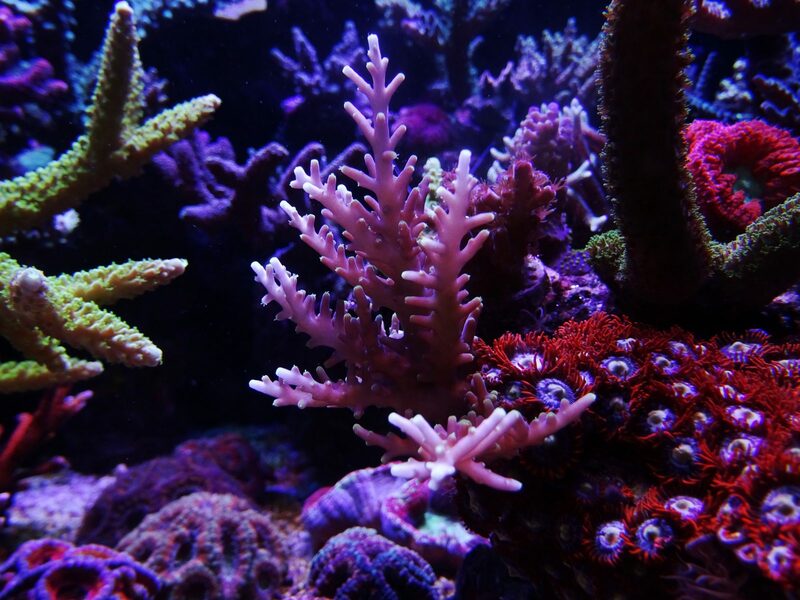 The aquarium holds about 300 liter (size 80x80x50cm) and the entire system (including sump and frag tank) is about 450 liter. 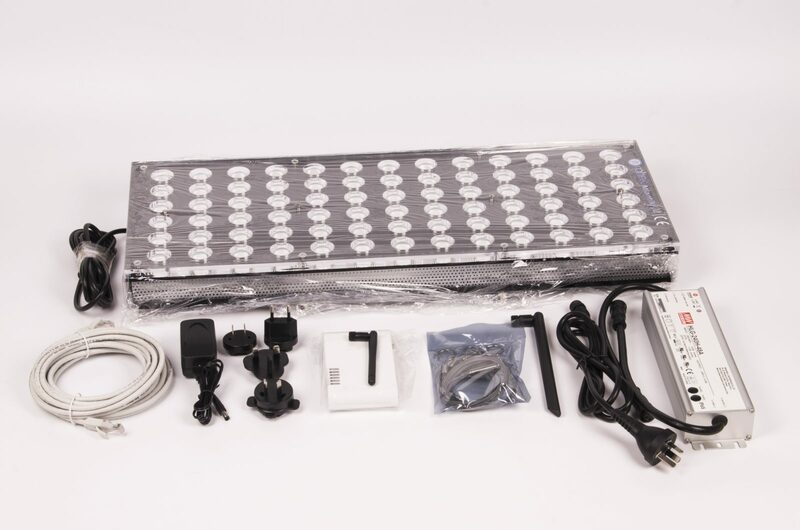 The skimmer is a Royal Exclusiv BBK 180 mini, only one Tunze 6105 streamer, and the return pump is a Jebao DCS 8000.
and temperature started to rise to high within the first months. 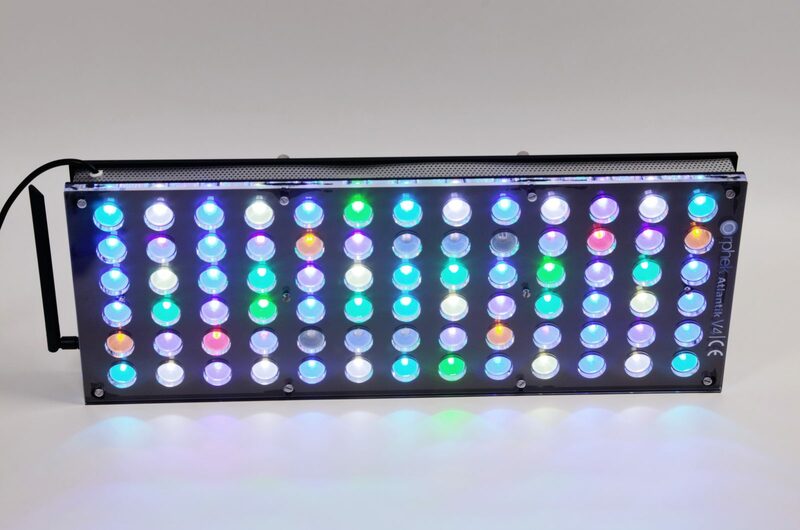 Therefore I was forced to look for another option. 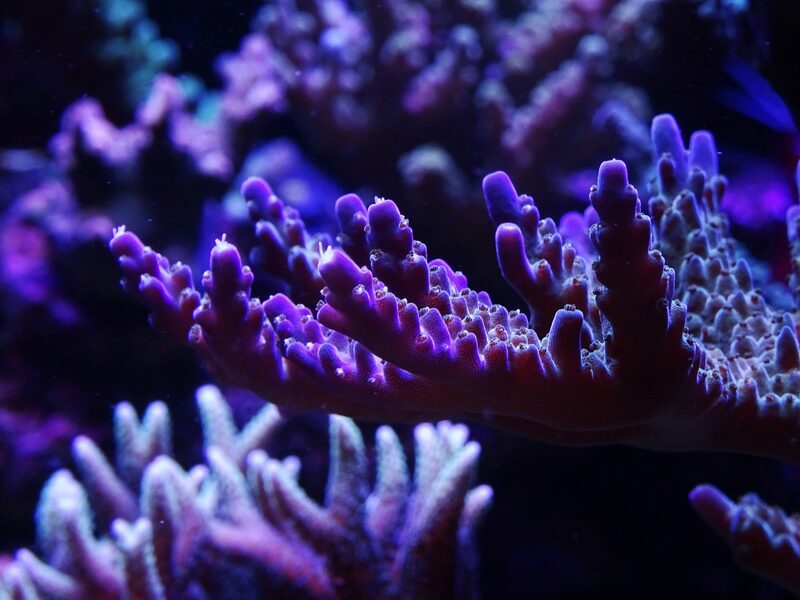 for me to clean the side of the tank walls and it was also to dangerous to break a tube and fall into the tank. And then I switched over to leds. you can only adjust two color channels (white and blue) which makes them les versatile. The second fixtures I bought were the Ecotech Radions G3 Pro’s. Great fixtures I must honestly say. 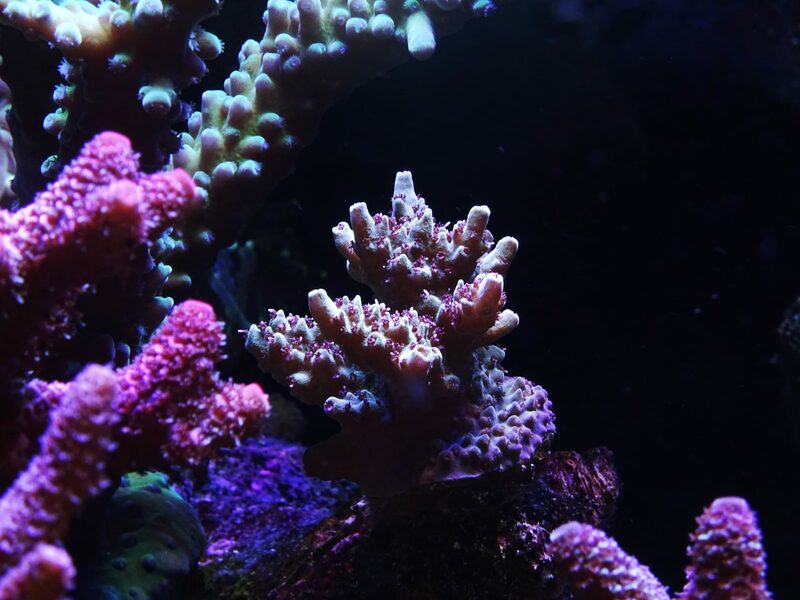 hang them very high above the tank (which isn’t possible here). 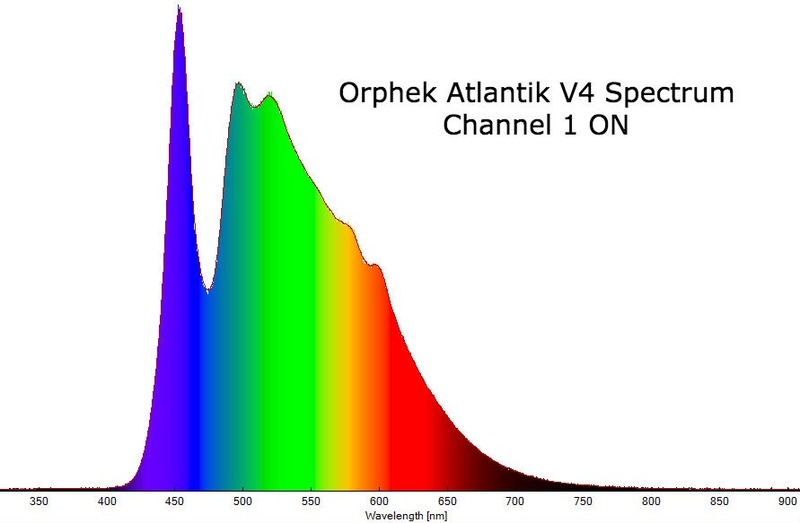 I bought two of them (which costs me already more than one Orphek Atlantik V4), and I still hadn’t enough spread. 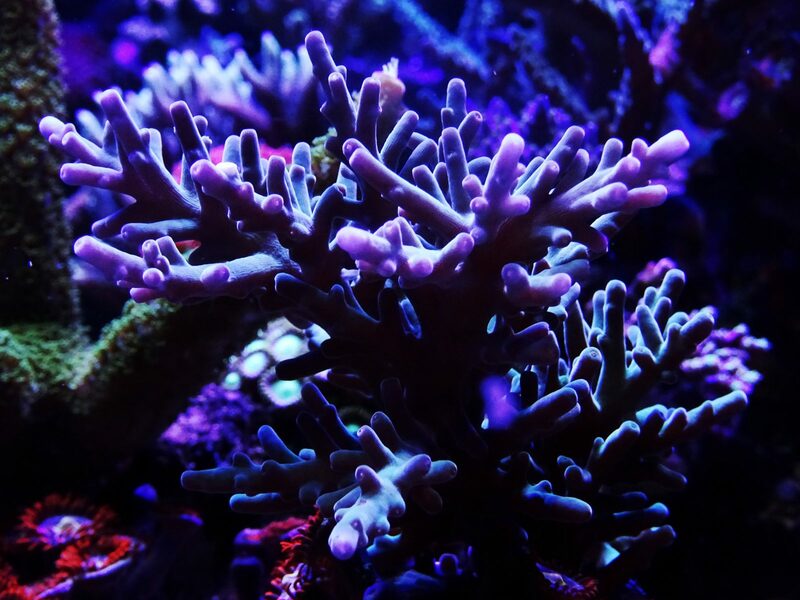 of the lack of light on the footbase. 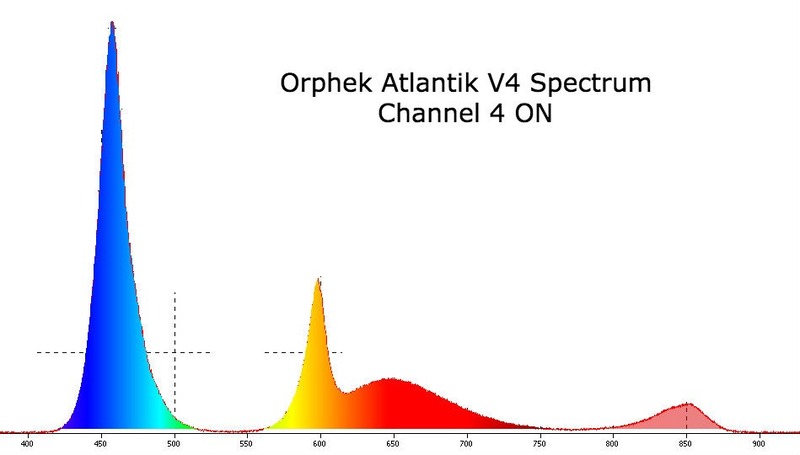 And then, the third fixture was the Orphek Atlantik V4. Without any doubt, this is THE best led fixture I have ever had! 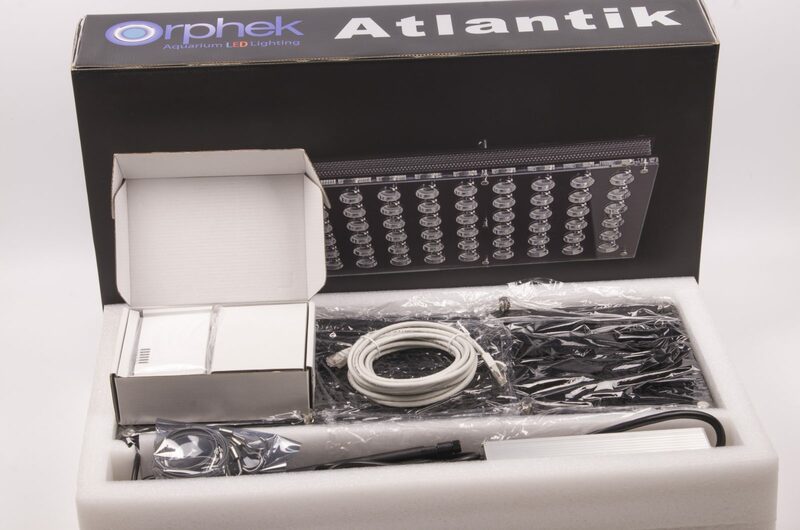 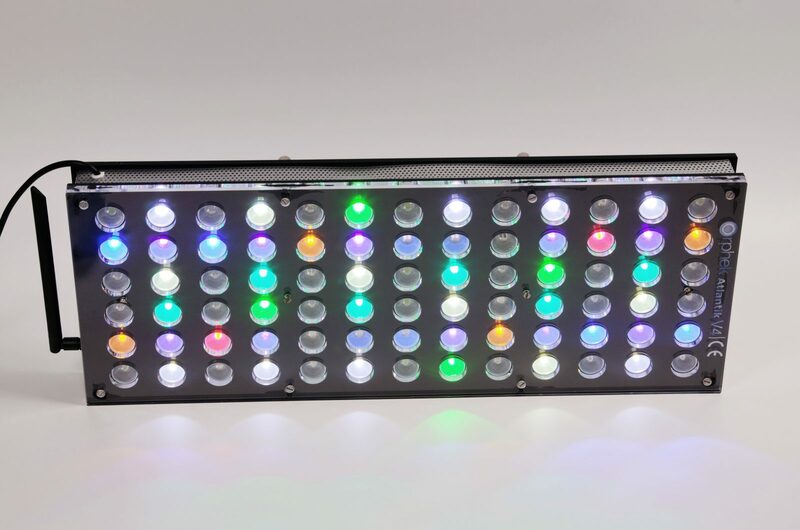 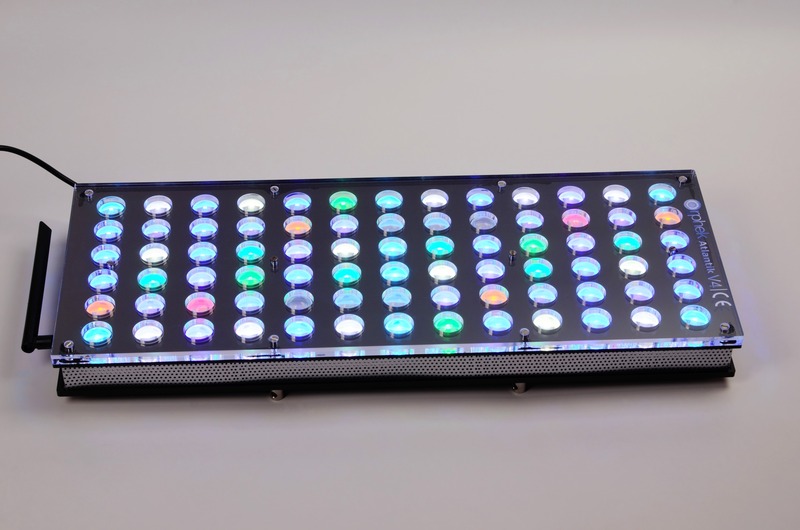 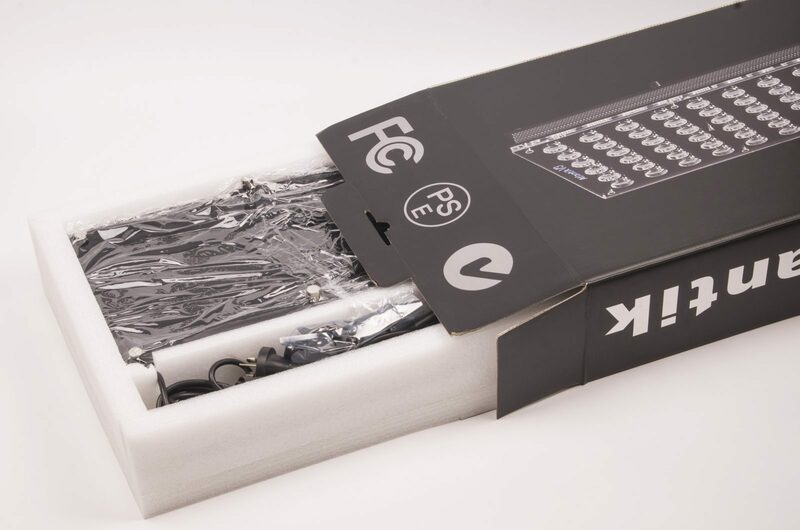 The Atlantik V4 has, with its 78 dual chip leds placed next to each other, the biggest spread of them all and also the biggest range in different leds. 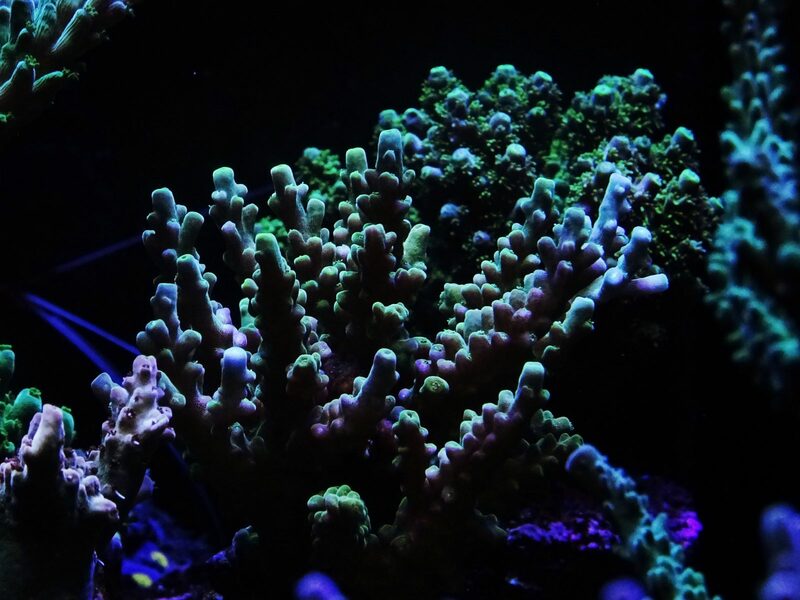 To compare with the Maxspect Razors and the Ecotech Radions, I definitly have the best colors and the fastest growth for my sps. 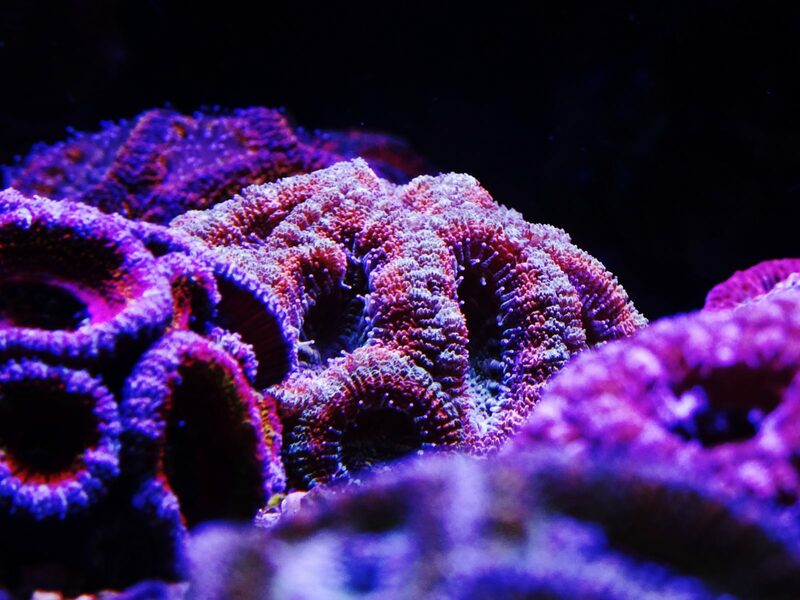 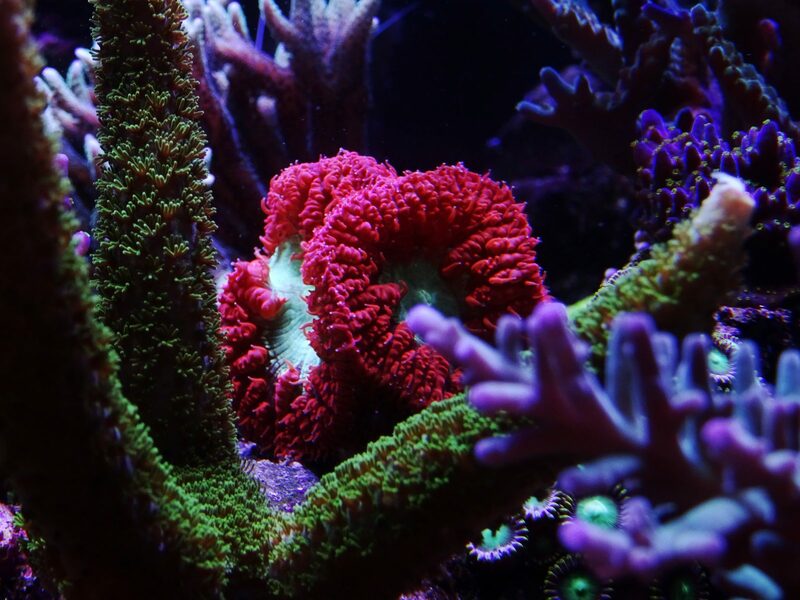 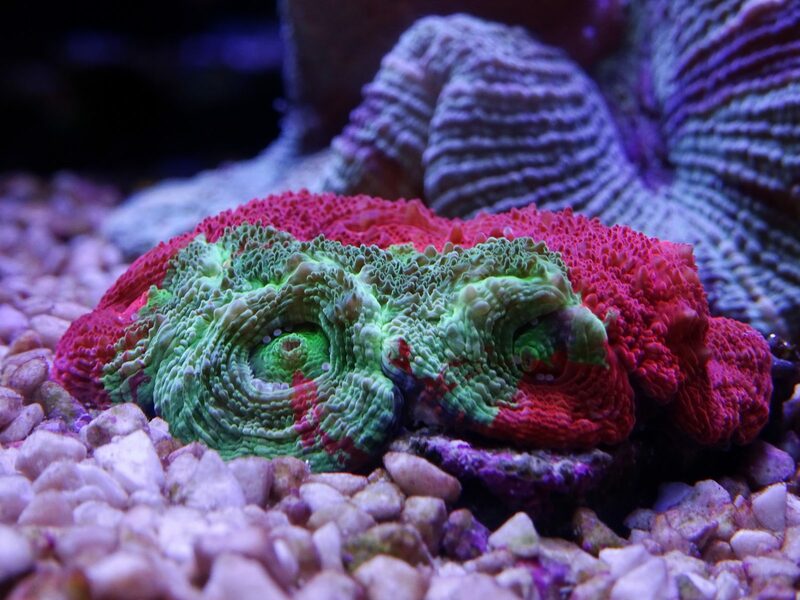 And also my lps (different species of Trachyphyllia, Zoanthus and Acans) are doing very good under this led fixture! And the easy programming, with the four different color channels and the smartphone interface, make them very actractive and fun to work with! 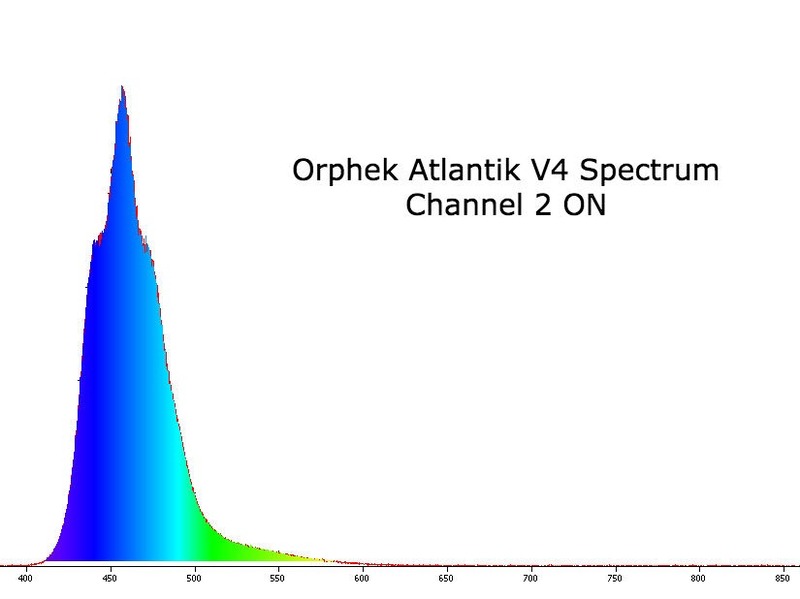 To keep my parameters constant, I have a Tunze calcium reactor with a digital dosing pump, controled by a Profilux. Aside to that, I have a six channel dosing pump to keep my macro elements at the right level. 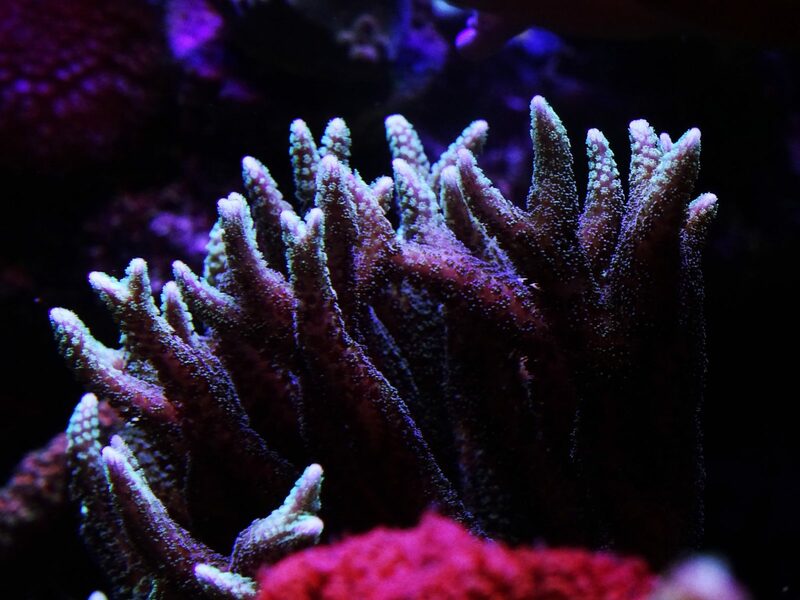 I use a DIY zeolite reactor and constant filtering with active carbon. Lens Options: Wide convex for tanks under 40” deep and 60 degree narrow for tanks over 40” deep. 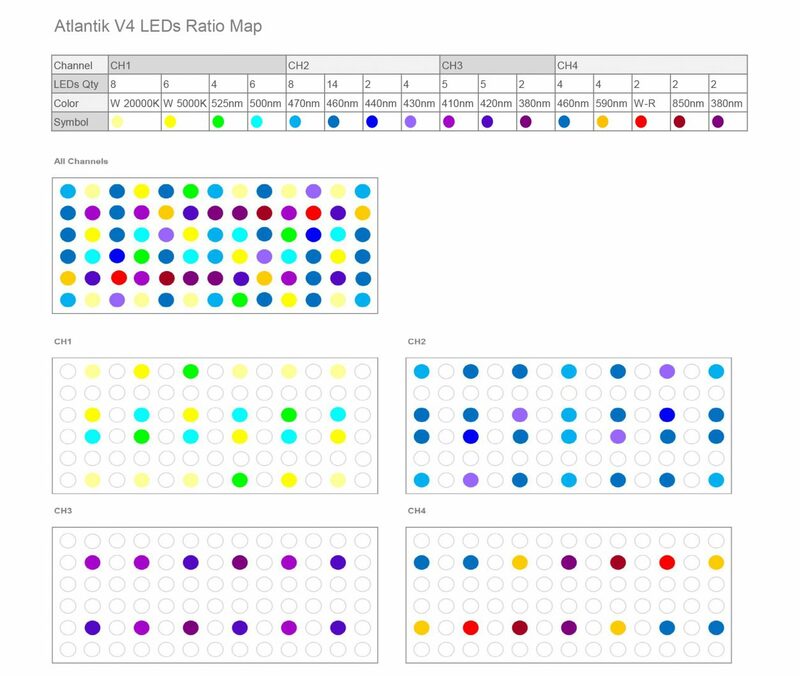 Atlantik V4 combines 16 new types of custom made dual core 5 Watt LEDs in the nanometer range from 380nm to 850nm for maximum photochemical efficiency.